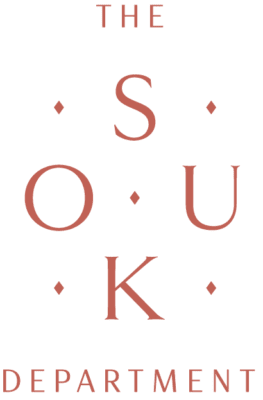 I have my own wedding planning agency – called The Wedding Department – since 2015. Organizing and planning are two of the things I get high on. I have always loved to brainstorm with other entrepreneurs. Helping each other, giving tips, insights and with that taking our own businesses to a higher level. When I was in Marrakech for the first time, my best friend fell in love with a Moroccan guy. On our last day, I told her I did wanted to go back, but not for the next three years or so. I have never been more wrong in my life. The day after we arrived back home, I got home sick. Home sick to Marrakech. I think I needed some time to process all the impressions, the chaos, the people and everything else. But when it settled, I wanted to go back a.s.a.p. So I did, together with her. And again. And again. Because every time the second I got home, I wanted to go back immediately. 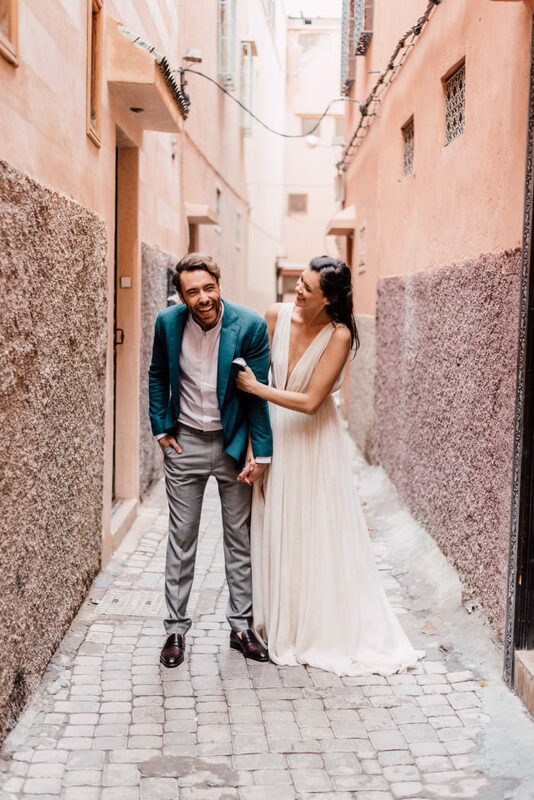 I knew I wanted to do business in Marrakech and organizing a wedding there sounded amazing. Therefore I organized two styled shoots in January 2018 and going back at least once per month to grow my network and meet cool, local people and companies. 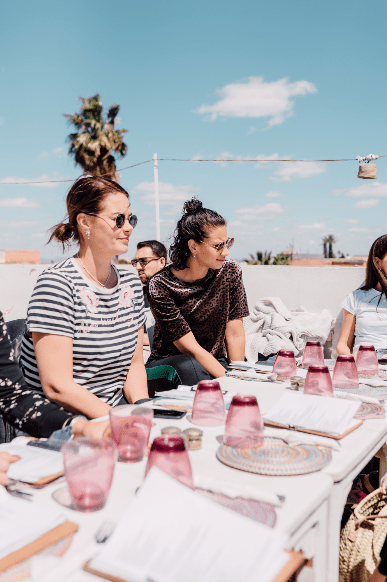 On the last day of one of my trips, I was sitting at the roof of one of my favorite hotspots in Marrakech, and said to my friend: I want to do more in and for this city. 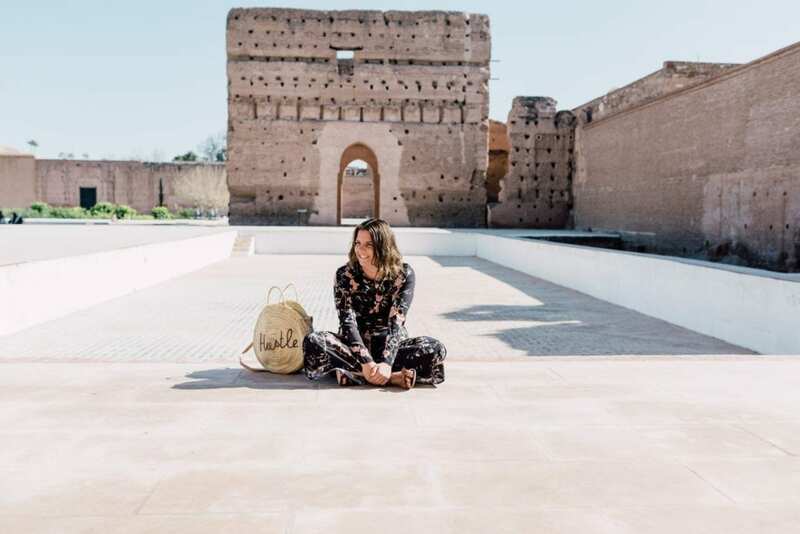 The next day I got home and the idea of combining all my passions – brainstorming with others, organizing this abroad and my love for Marrakech – came together with The Souk Department. 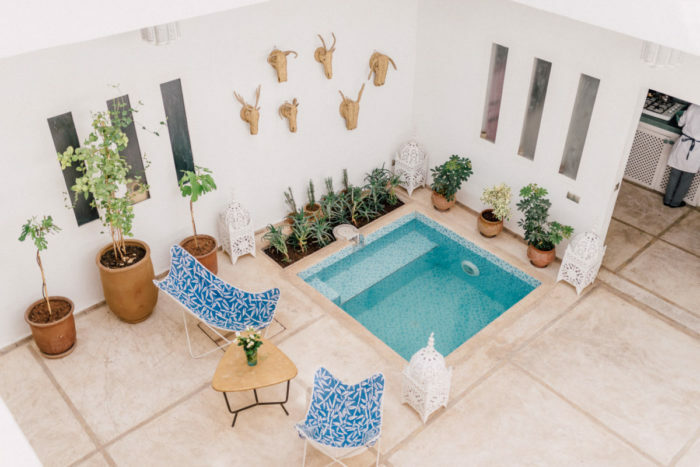 The idea was simple: renting a private riad, look for 9 other cool girlbosses and fill 5 days with work and pleasure. I took a risk and planned the first trip not even 2 months later. Never thought I would be sold out in less than a week!! So I planned the next getaway in June and the third in October. In the mean time, other companies reached out to me if I could organize their trip as well. Custom made, something totally different than our own getaways, but so cool as well. 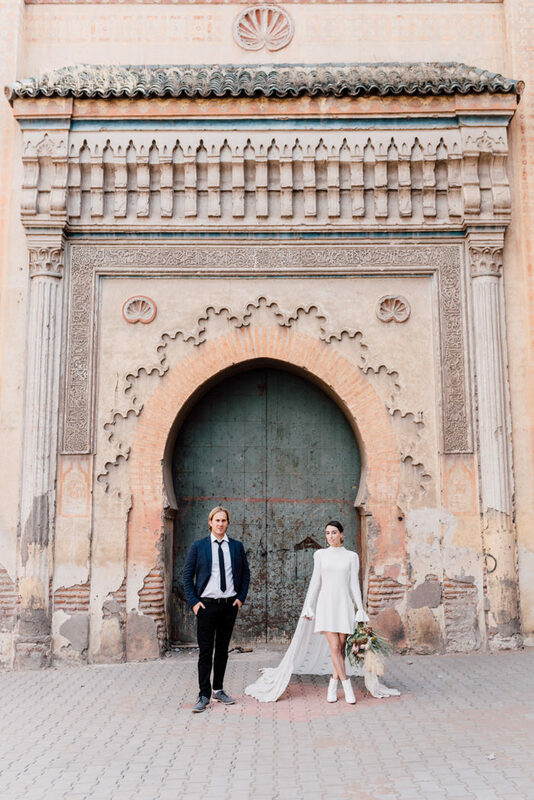 And hell yes we can do that because confession: I am obsessed with Marrakech and know e-ve-ry-thing. So yes! Here we are, also creating custom made trips. Next to that, individuals reach out to us as well. Sometimes just for some fun tips, sometimes to arrange cool places to stay and sometimes to create their entire trip. Next to that, we also help with shoots for magazines and brands and participate in other collabs. 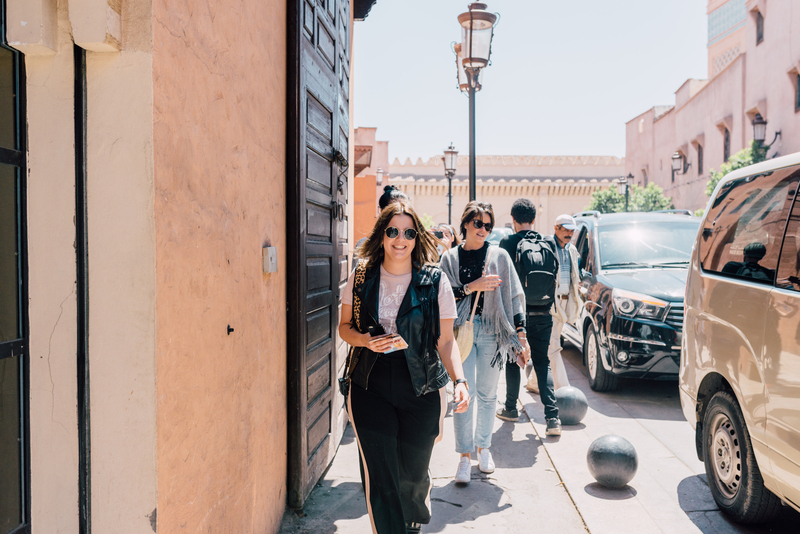 I know Marrakech from bottom to top and the other way around, so I’m here if you want to do anything in this amazing city! This is so sweet, thank you so much!